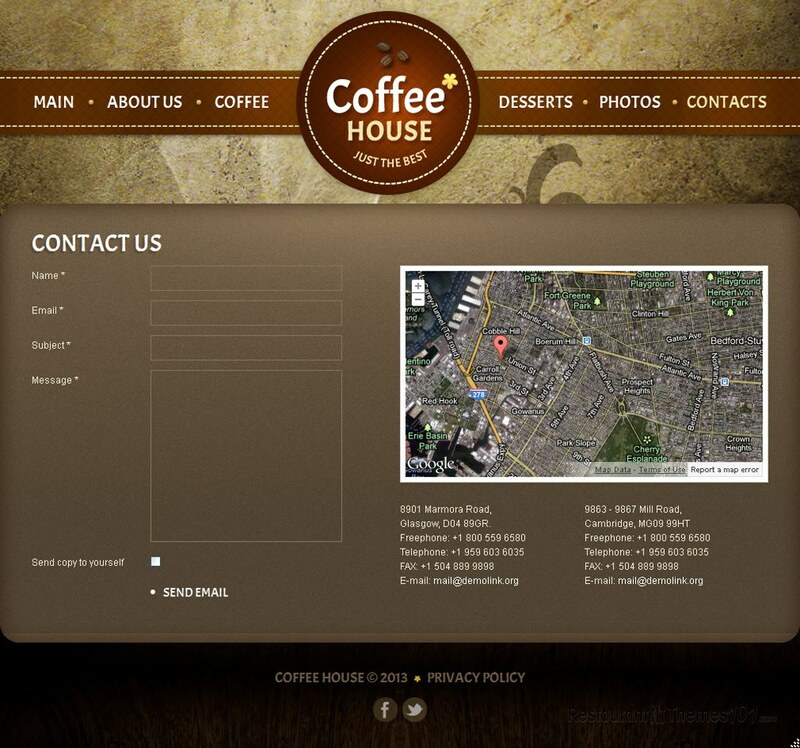 Coffee House is a Joomla coffee shop template created by Delta and featured at Template Monster. 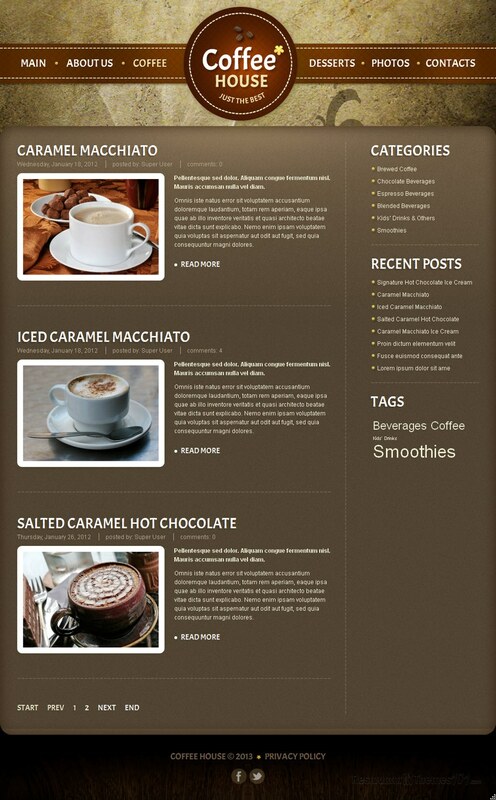 The layout of this template looks really tasty and stylish. 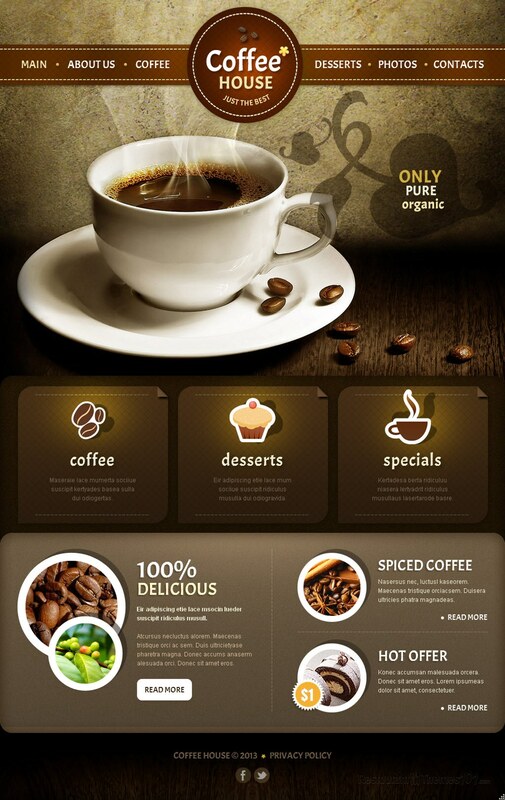 It was carefully created to represent your coffee shop in an original and attractive way. Nice patterns and different shades of brown with white details make this the perfect template for such restaurant niche. Pretty icons are included to make the template even cuter and eye catching, and you and your visitors are going to love them. You will be able to feature your most important content on the homepage and focus your visitors’ attention to the important things, which are your service and products. With the previously mentioned nice icons and some teaser text, your guests will be teased to click the link which will automatically redirect them to a full content page where you can describe your products in detail, and tell them all about the delicious snacks and heavenly coffee you offer to them. 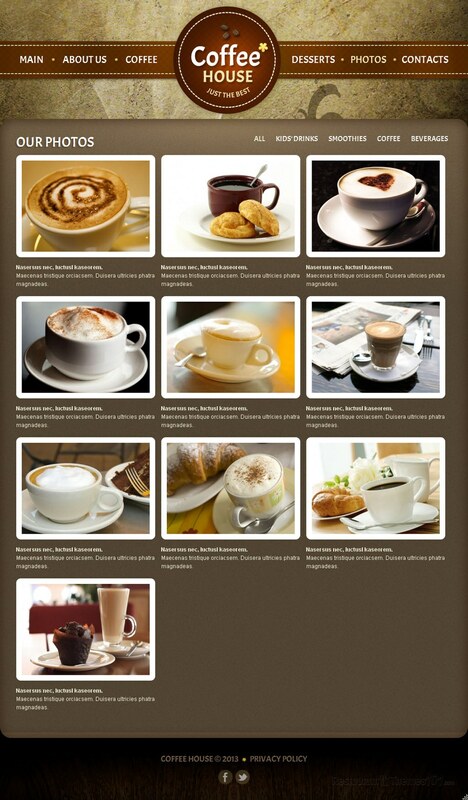 Your special offers can be featured as well, with resized photos displayed in a nice and unusual manner, and tell your visitors about your newest editions and recipes so all of those coffee lovers can get regularly updated on all the delicious stuff they can try out at your coffee shop. The photo gallery looks great and it enables you to freely post a wide range of quality photos and bring your visitors closer to the fine products they can find at your cafe. The “contact” section reveals Google Maps, allowing you to show exact directions to your cafe, and a nice looking contact form for everyone to be able to email you quickly. 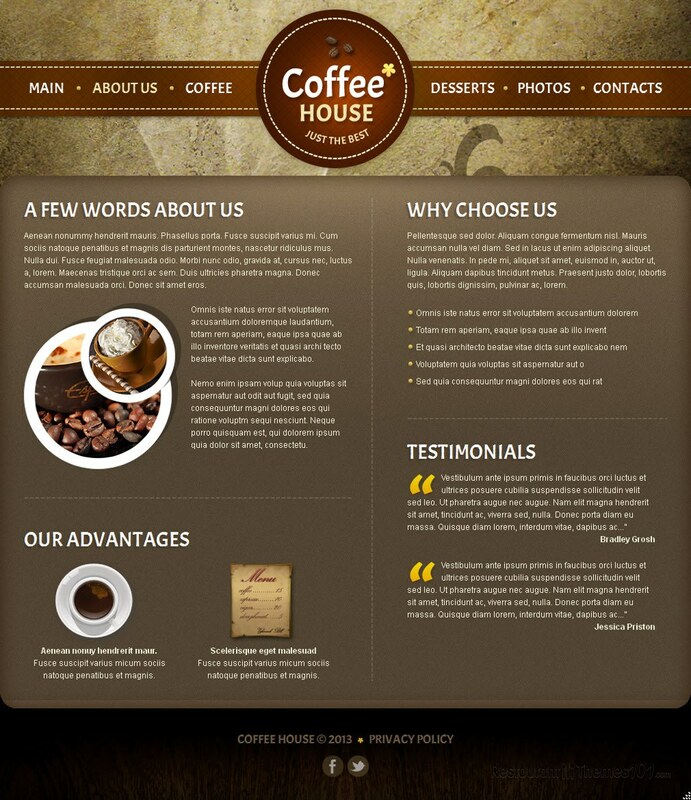 This cafe template for Joomla was built on Gantry Framework with the powerful K2 component included, and it guarantees a flexible and functional website. The admin panel is very easy to operate, and it will allow you to run your website all by yourself, without the help of professional web designer. It comes with install instructions included.